Is there LOVE in Business or Education? Could LOVE be the answer? The end of the school year is here and I have been thinking a great deal about our education system and its impact on our children. It is not all good. I have been having so many thoughts about education and educators as we navigate the last days of the school year. Yes, some wonderful things have happened for my children and those of our friends, but it has not been without challenge and some damage along the way. I believe that education should be a ‘Do NO Harm’ profession. But I know that historically and currently there are educators that do great harm to the children in their care. As a parent, it is horrifying to watch and challenging to figure out how to prevent it, confront it and resolve it. I’ve been reading a new (to me) author, Rivera Sun. Her books each focus on non-violence, non-violent resistance and love; even radical love. She has me thinking and reflecting about myself and how I interact with people and also how the schools are interacting with my children. What if we all started from a place of radical love? What would change? I think about this in business as well. What if we each were driving our businesses from a place of radical love? How would that shift your business? How would it change who you served, how you served them and even who was attracted to your business? It seems like it could be really good. How do we each communicate? Do we start from a place of love or somewhere else? I know for me, sometimes, I am reacting to something and it is emotionally charged. But what if we each stop and breathe first, go to our heart and then start? What changes in how we are doing our business or education? Does it change how we see things? I did a webinar a month or so ago on heart felt marketing and I talk regularly with people about loving your marketing (a real challenge). But what I am talking about right now, is going even further — loving ourselves, our business, our customers, our kids. If we operate from a place of love, we can change the world. So, how do you use LOVE in your conversations? Do you start there? Are you like me, and need to concentrate on this a bit more? 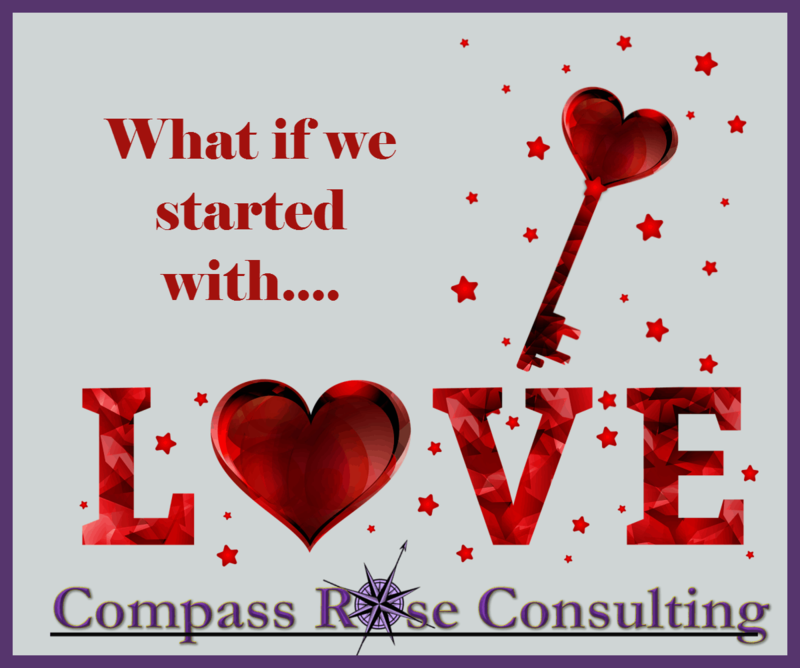 What would change in your life or business if you started from a place of love and stayed there throughout your interactions? Thanks for reading my ramblings here today…. join the conversation about love — love in education, love in business. Let me know YOUR thoughts.